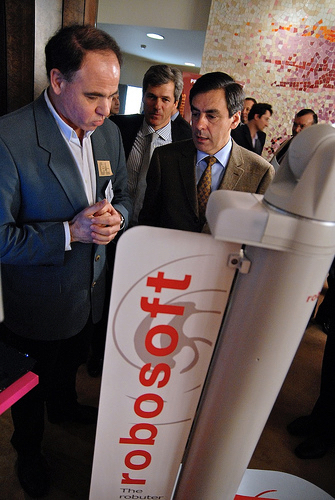 KOMPAÏ robotics is a startup founded in 2016, which bought several assets of ROBOSOFT, a supplier of advanced robotics solutions for transport (goods and people), cleaning, research, and health since 1985. 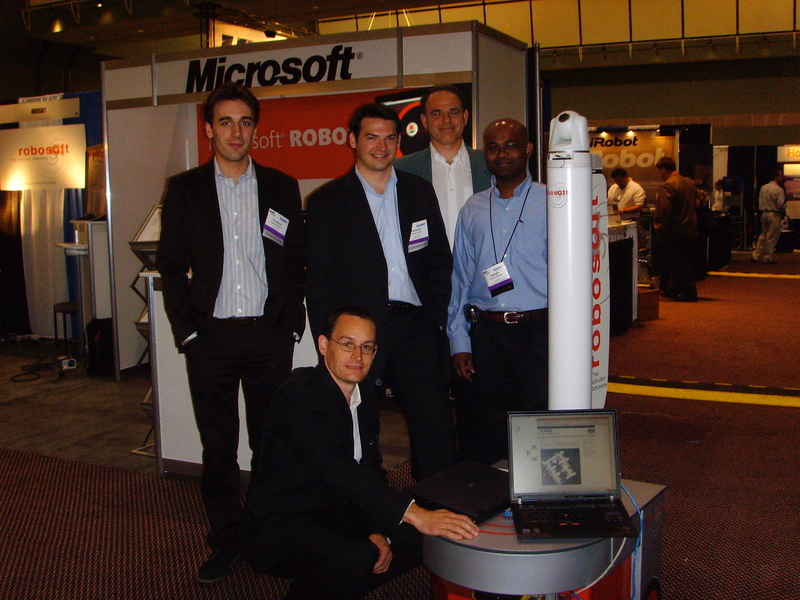 KOMPAÏ Robotics’s main objective is to develop B2B robotics solutions to help people, not to replace them. 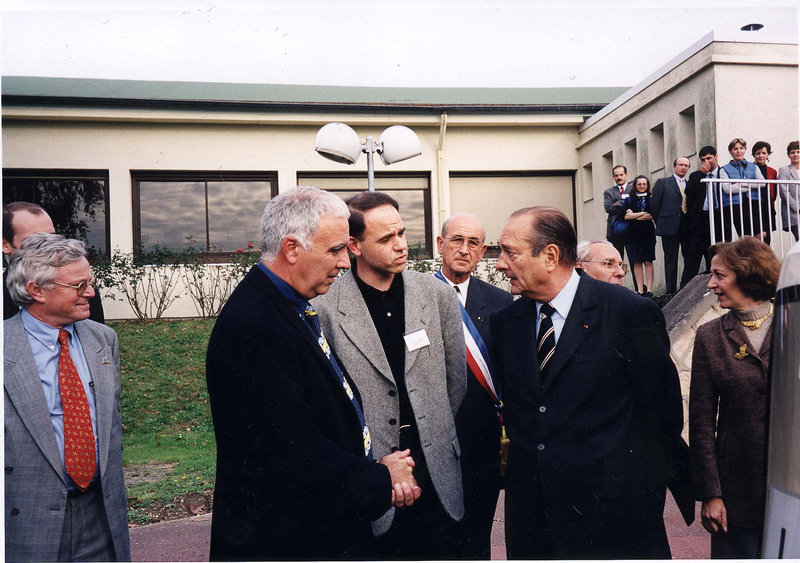 We are active in several fields, such as Healthcare, Defense, Logistics, Cleanliness, Autonomous Vehicles … where we can develop prototypes or Proofs of Concept, imagine new use cases using service robots, or help to implement solutions. 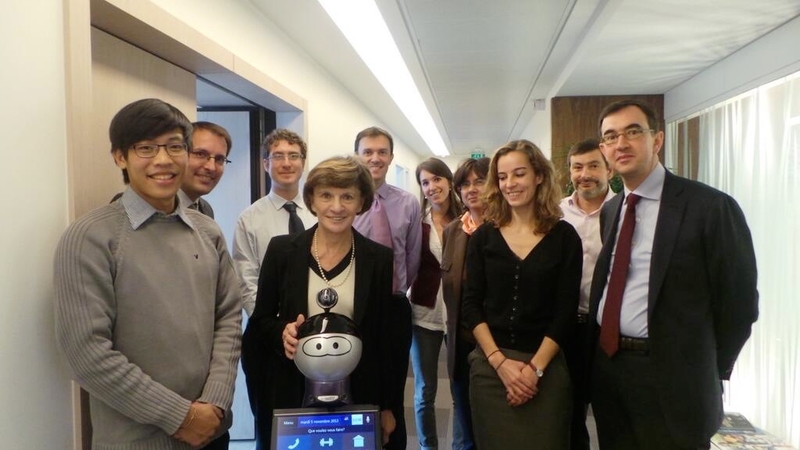 One of our projects is to develop the Kompaï robots line of products, to help frail people and their caregivers, wherever they live. 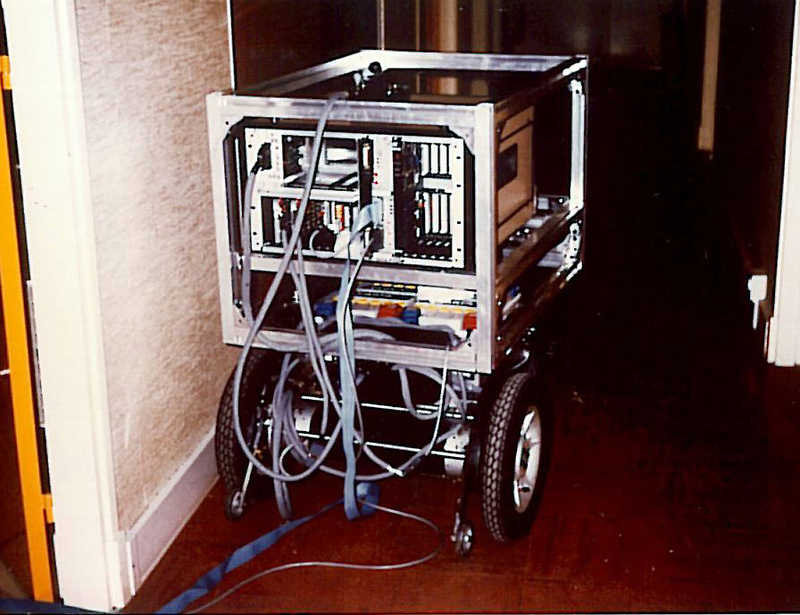 The story of ROBOSOFT starts in the early 80s at INRIA, where a a research team developed its first autonomous mobile robot. 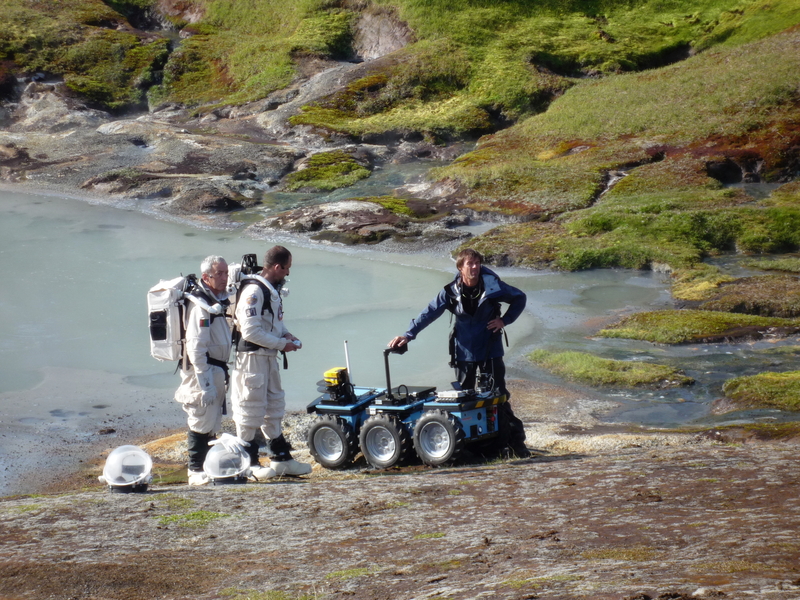 The goal of the research team was to demonstrate robots guided by vision. For real demonstrations, the team built a mobile platform from an electric wheelchair. 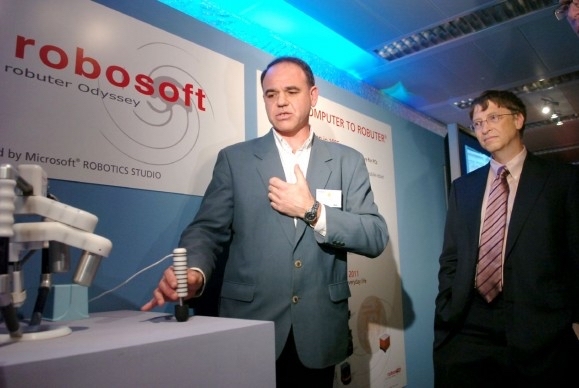 This platform became the robuTER a few years later, the first generic product of ROBOSOFT. 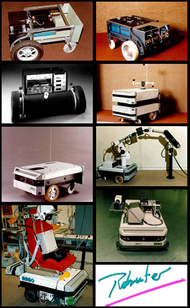 From 1986, ROBOSOFT started selling robuTER, one of the first mobile robot dedicated to research and development. 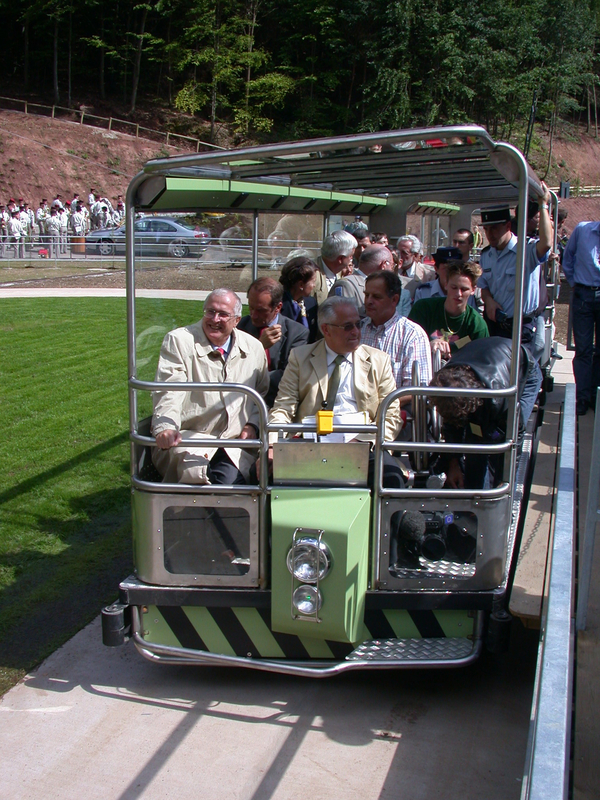 Since then, several hundreds units have been manufactured and sold worldwide, and some early robuTERs are still in service. Having high payload capabilities (several hundreds kg), the robuTER was a very reliable equipment, with advanced programming capabilities thanks to its ALBATROS operating System. 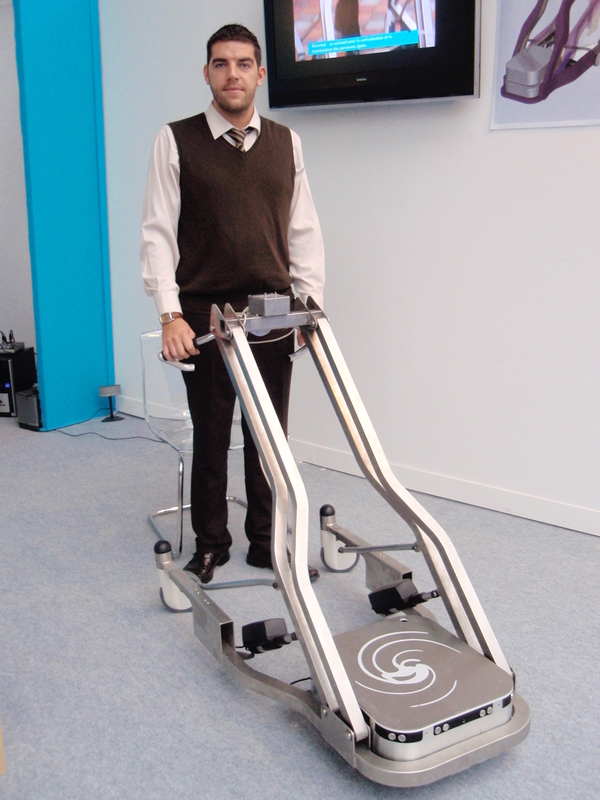 Its success came from its flexibility, allowing users to install any type of load, and develop efficiently on-board and off-board software for demonstrations puurposes. 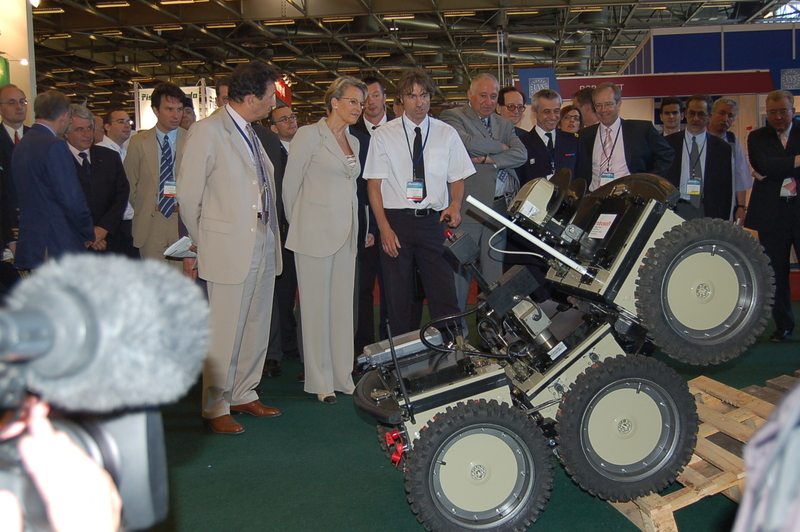 The robuTER has been a major contributor to the development of mobile robotics. 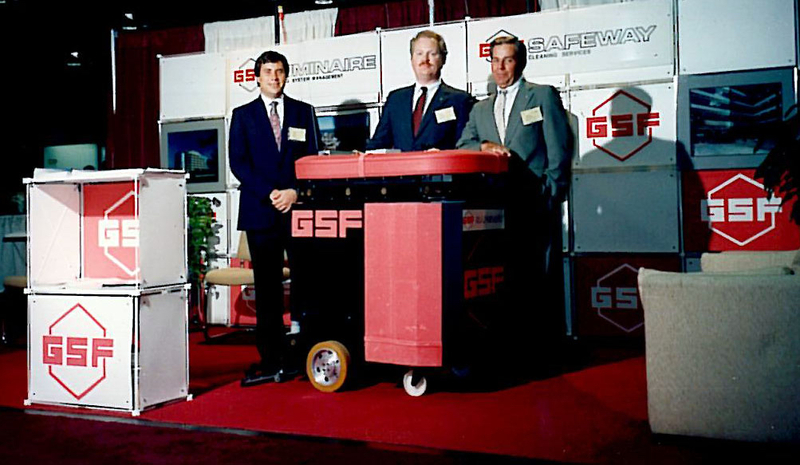 In 1988, always in partnership with GSF, we introduced AutoVaC 2, the first prototype of a true industrial robotized vacuum-cleaner. 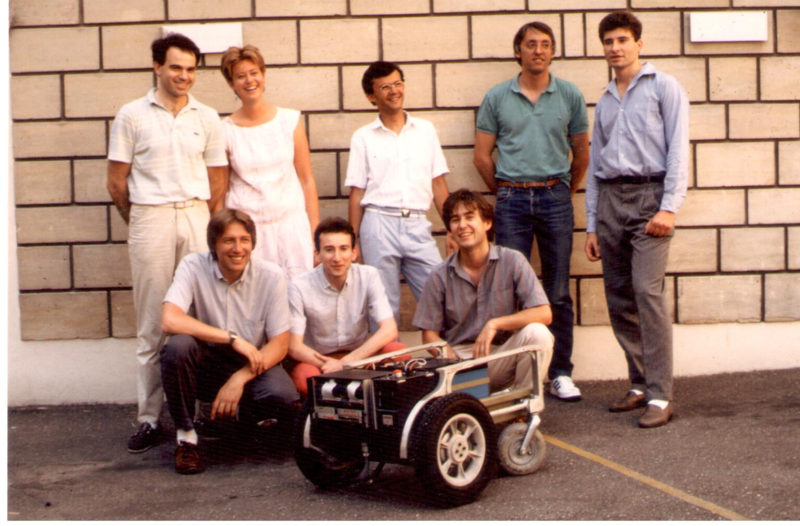 it was presented first at Robots 12 (Detroit Mi) in June 1988. The main feature of AutovacC2 was automatic navigation using dead-odometry. 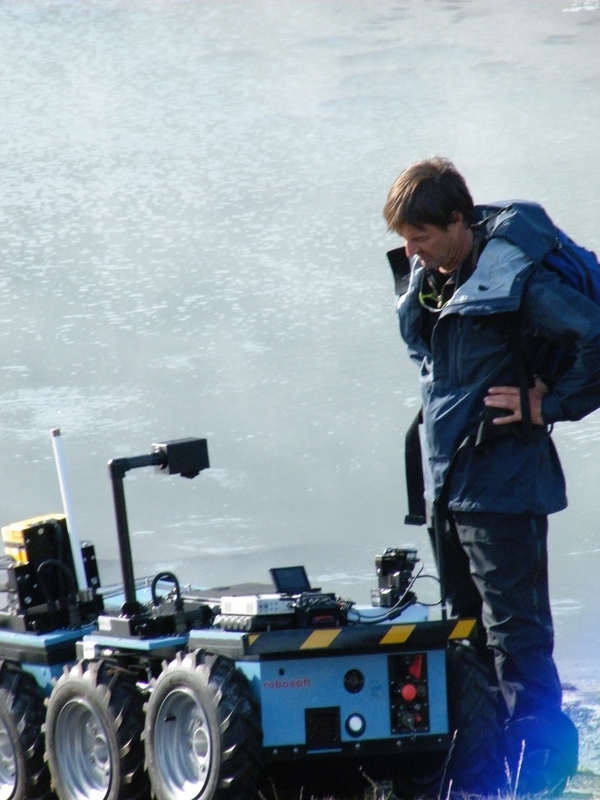 Ultrasonic sensors were used for obstacle detection, and the first autonomous navigation algorithms allowed simple teaching-by-showing missions. But we found out at this stage that odometry was not enough for accurate navigation. 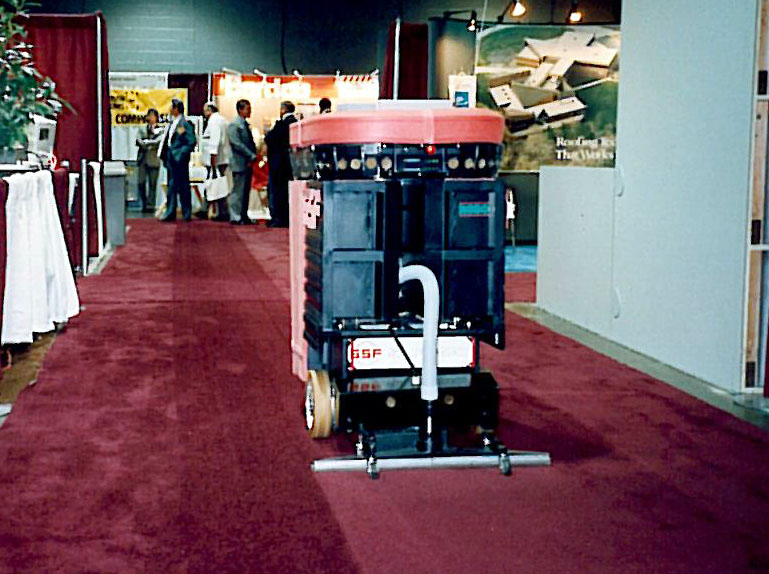 In the early 90s, we worked a lot on improving the cleaning process for floor cleaning robots. With our partner GSF, we developed several prototypes and combinations of cleaning tools to be robotized, such as optimized vacuum-cleaner powered by batteries, intelligent squeegees ou combinations of brushes and vacuum cleaners. These developments helped a lot to design more efficient floor cleaning robots, and brought to our engineers a deep knowledge in robotized cleaning. 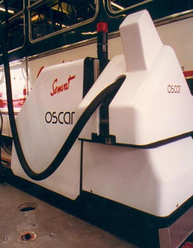 The first prototype of refilling robot, called OSCAR, has been developed in the early 90s in cooperation with STAB and SEMVAT, the bus operators of Bayonne and Toulouse. 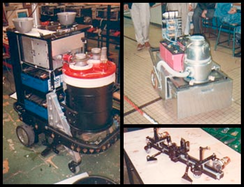 This first robot have been working several years, before being replaced by MK4 and MK5 models. 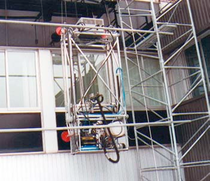 Started in 1994, the AutoWIND program, supported by European Commission, aimed at developing a prototype of an operational cable-suspended platform to be used in window cleaning and maintenance tasks currently performed by human workers. 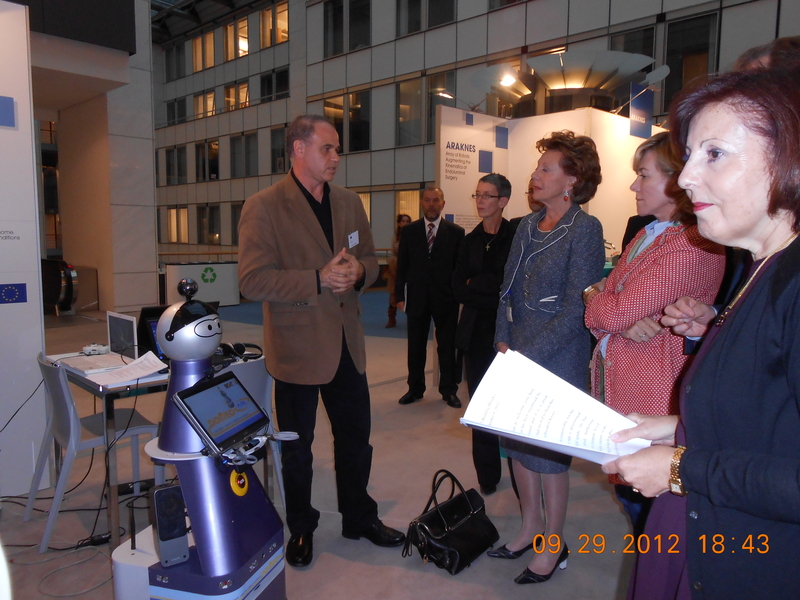 The main objective of the project was to demonstrate the feasability of robots for cleaning windows. The basic mechanical developments led to a sophisticated, sensor-based adaptative platform for the stabilization, adherence and mobility of the autonomous cleaning unit on the glass-surface of the building.